Hello there! My name is Teacher Margie. 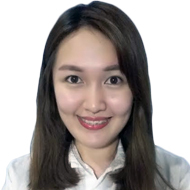 I am a 27-year old TESOL-certified English instructor from the Philippines. I have been teaching English for more than 6 years now in both online and classroom setup. During my free time, I try to maximize it by finishing a list of errands I need to do as soon as possible, so that I can spend more time with my loved-ones. When it comes to students, EVERYONE is welcome in my class. 🙂 I can teach basic and general English, business English, pronunciation, TOEIC, and travel English. We can do reading, listening, pattern, speaking, and writing classes together. Anything can be easy for anyone as long as they have someone to trust and rely on. I hope to be that helping hand you need in this journey!